Hello! 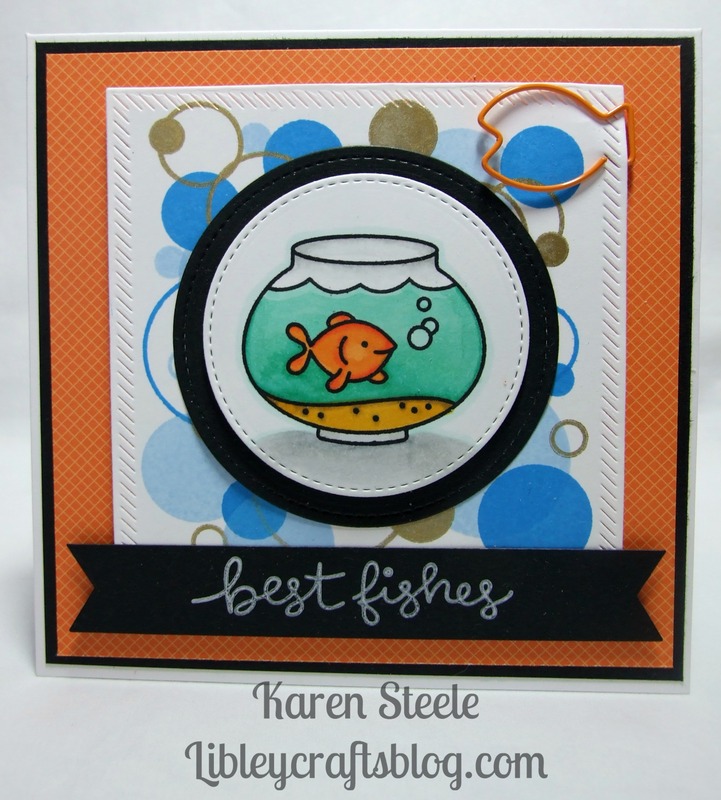 I’m back today with another card made using the fab ‘Fintastic Friends’ stamps and dies from Lawn Fawn. I stamped the bokeh background using ‘Let’s Bokeh’, again by Lawn Fawn, and then didn’t know what to do with it! 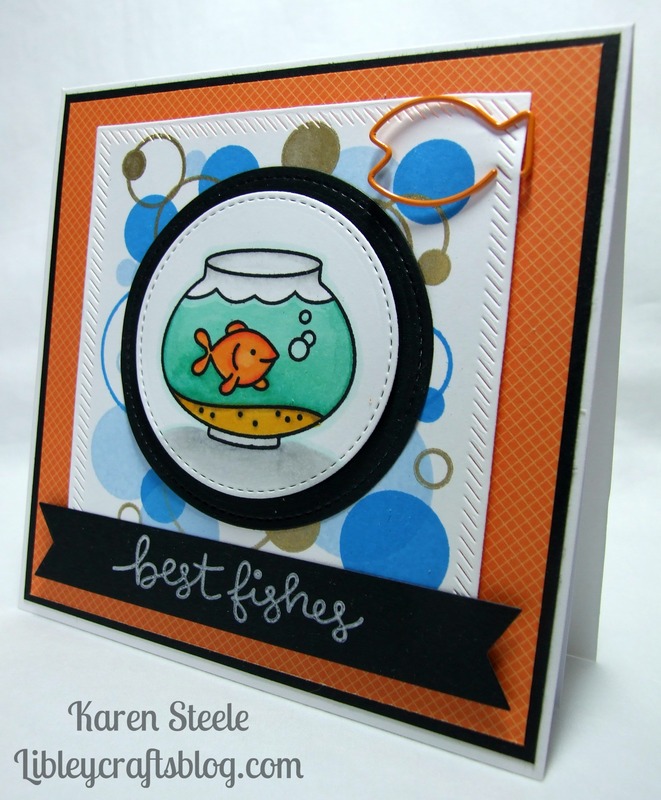 I thought the circles looked like bubbles and then that thought turned to fish and voila! This is the outcome! Here’s what else I used: The following products from Lawn Fawn – Stitched Circle Die, Everyday Sentiment Banner Die, papers from ‘Beachside’. Memento inks in Summer Sky, Bahama Blue and Tuxedo Black. Versa Magic in Cloud White and Encore! Ultimate Metallic in Gold. MFT Die-namics – Inside and Outside Diagnol Stitched Square Die. I think the fish paper clip was from The Range and black cardstock from my stash. Spectrum Noirs to colour. Sweet Card, Karen and the bubbles looking great in the Background. Beautifully put together as always. You have such great imagination and an eye for detail. Great card! I like the fish clip in the corner, nice touch! Awesome card with the bokeh background! Love the little gold fish and great touch with the clip! So so cute! I love the paperclip and the bokeh is truly a fun touch! Oh this is so cute, Karen!!! Love the colors and design!! Oh, i overlooked the pretty fishi paperclip – super great Accent !